U.S. Army Sgt. 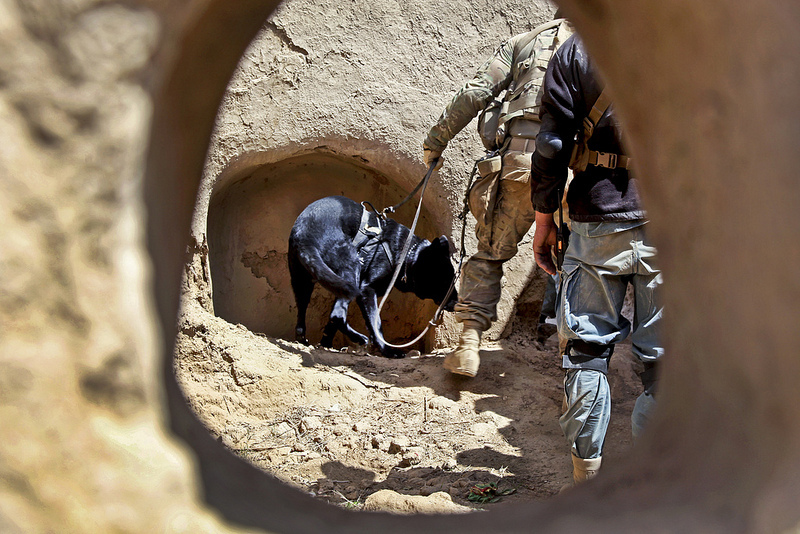 Ryan Henderson serving with 1st Brigade Combat Team, 82nd Airborne Division, with his military working dog Satin, searches an Afghan home in the village of Spine Gundey, Gelan district, Ghazni province, Afghanistan, May 10, as Afghan National Police look on. The ANP and coalition forces were conducting a joint patrol in the village.